Buy 96 or more for $7.59 each. In these honest devotions, readers will find their fears and realities named and brought into the light of Gods love. They will be led to sit with their experiences, acknowledge their losses, and remember Jesus promise "Blessed are those who mourn, for they will be comforted." Todd Outcalt is senior pastor of Calvary United Methodist Church in Brownsburg, Indiana. He is the author of more than 30 books. 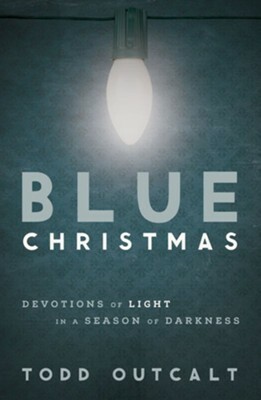 I'm the author/artist and I want to review Blue Christmas: Devotions of Light in a Season of Darkness.